For all the nationally hyped concern they have in Broward County about keeping students safe from the next Nikolas Cruz, the school board has voted against allowing some school employees who are not primarily teachers to carry guns to defend students. The reasoning, according to one board member, is that it “would mean more guns, the purchase of more guns, the legalization of more guns and more guns brought from the community into schools.” What do they need guns for? 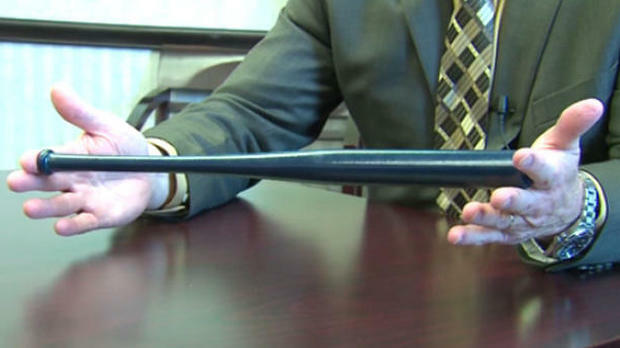 A school district in Pennsylvania has come up with something even better for defending classrooms from the maniacs who are allowed to run around loose these days: miniature baseball bats. In the wake of the school shooting in Parkland, Florida, a school district in a suburb of the northwest Pennsylvania city of Erie is arming its 500 teachers with baseball bats, reports CBS Erie affiliate WSEE-TV. The baseball bats, which have been distributed to each teacher, are 16 inches long. Lest someone get hurt with the miniature bats (which cost taxpayers $1,800), they will be kept locked up. This contrasts with the policy elsewhere in Pennsylvania; Blue Mountain School District Superintendent David Helsel equipped each classroom with a bucket of stones accessible for children to throw at armed maniacs. Back in Erie, Millcreek Schools Superintendent William Hall admits that the toy bats are primarily “symbolic.” What they symbolize is the unwillingness of the liberals who run schools and the media to seriously address the mental health and security issues that will inevitably result in another Parkland.